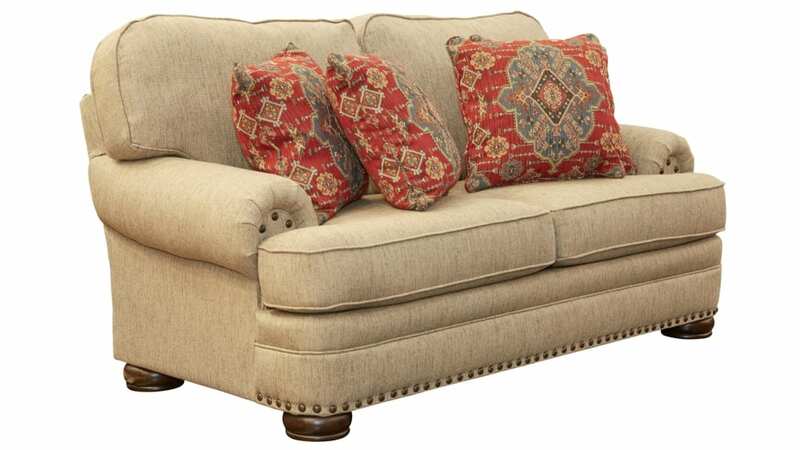 Part of the Desert Sage Living Room Collection This loveseat is big, well made, and incredibly comfortable, BUY TODAY, Delivered TODAY! Built using thick laminated wood that is precision cut on CNC routers to create the incredibly strong frame. The frames also feature corner blocks and mortise and tenon joints for a lifetime of strength and rigidity. Highest quality dacron wrapped high-density foam cores are found in all seat cushions. Heavy gauge steel wire sinuous seat springs are used throughout and they are doubled on the ends where they are needed most. Accented by large nickel nail head trim. 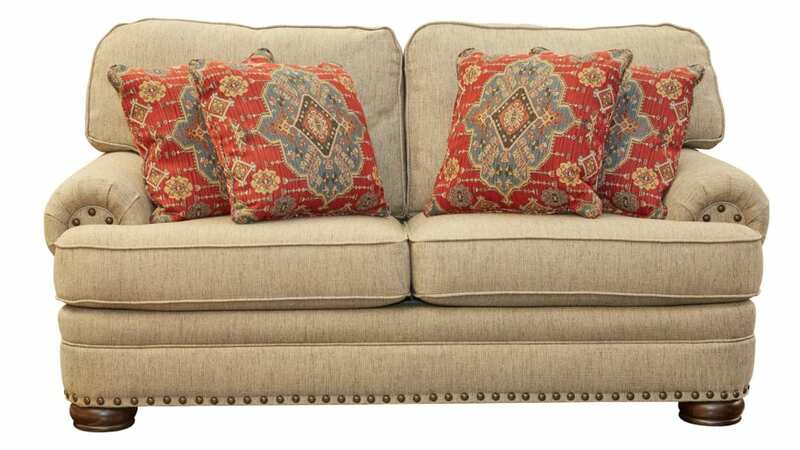 4 heavy designer inspired damask pillows are included.